Welcome to the fifth edition of PHE’s Health Matters, a resource for public health professionals, which brings together important facts, figures and evidence of effective interventions to tackle major public health problems. This edition focuses on giving every child the best start in life and specifically the crucial period from pregnancy to the age of two (listen to the launch teleconference presentation). The earliest experiences, starting in the womb, shape a baby’s brain development. During the first two years of life the brain displays a remarkable capacity to absorb information and adapt to its surroundings. At age two, the connections that are being formed in a child’s brain are happening about twice as fast as in an adult’s brain. What happens in pregnancy and early childhood impacts on physical and emotional health through into adulthood. Supporting good maternal health is important for safe delivery and good birth weight to give babies the best start. The prevention of adverse health factors in pregnancy is vital. Premature and small babies are more likely to have poorer outcomes. Enabling children to achieve their full potential and be physically and emotionally healthy provides the cornerstone for a healthy, productive childhood and adulthood. 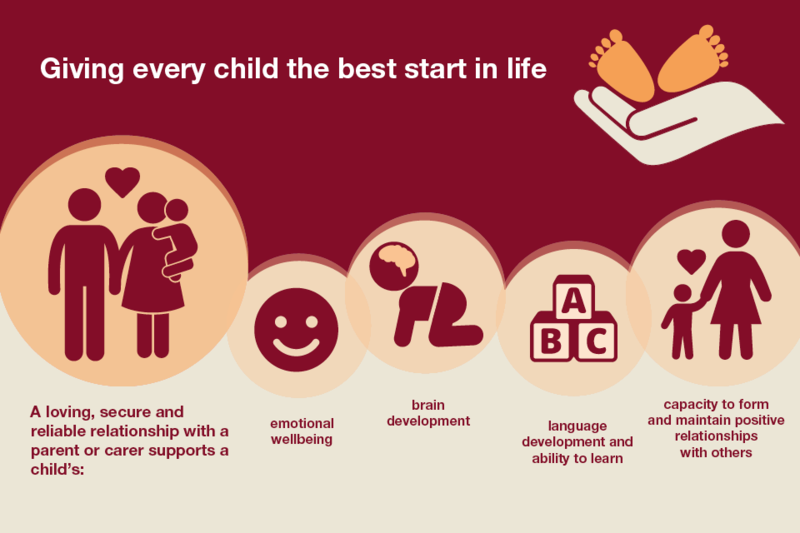 Investing in the early years can help to address health inequalities that disadvantage some from the very beginning of their lives. It also makes strong sense to invest in the early years from an economic perspective as the long-term savings that can be generated are considerable. 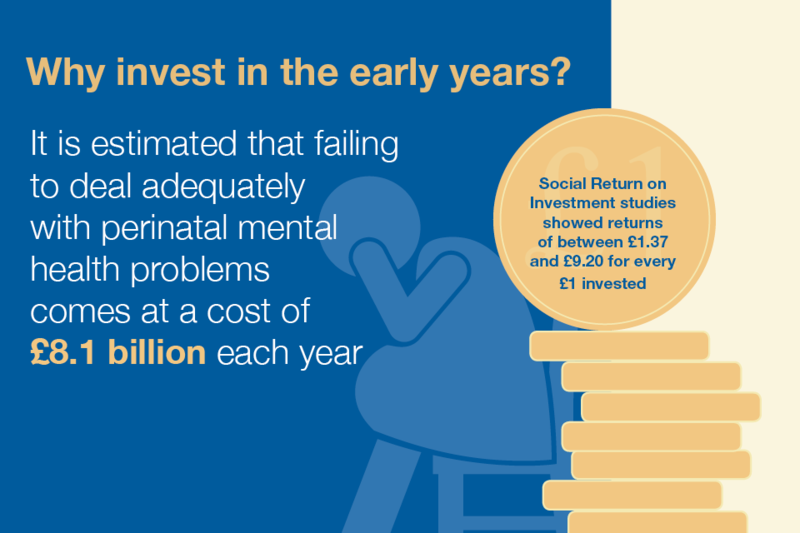 Social Return on Investment studies show returns of between £1.37 and £9.20 for every £1 invested in the early years. This resource for local authorities and health professionals makes the case for investing in early years care and outlines how to support women, and their partners, from conception through to pregnancy and into parenthood. 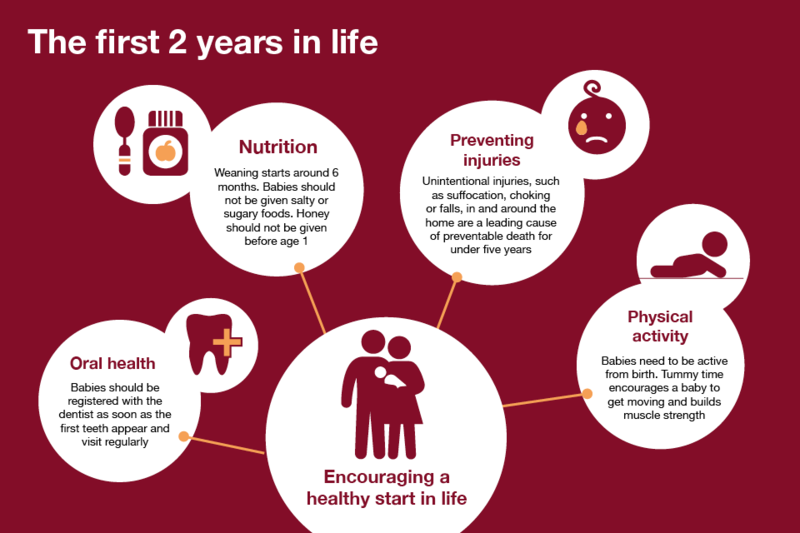 To assist with this, we have created a new suite of Health Matters infographics to help you make the case in your local area. It also sets out the importance of The Healthy Child Programme which sits at the heart of services commissioned by local authorities for children and families. This is delivered as a universal service with additional services for those with specific needs and risks. Read the early years edition of Health Matters for more on what local authorities and health professionals can do to improve our children’s health and ultimately the health of the nation. I would include keeping children safe by providing therapeutic support for parents with mental health difficulties to facilitate healthy attachments. Psychological difficulties are associated with poor child outcomes, insecure attachments and violence. There needs to be more provision for fathers as well as women. I found this resource interesting and informative, however, the role of the midwife in giving every child the best possible start in life in largely overlooked. This is a shame, as the evidence about the benefits for the woman and her baby of a relationship-based model of care are significant - for all women, receiving continuity of care from a midwife they know results in their being 24% fewer preterm births, 19% less likely to miscarry before 24 weeks gestation, and 16% less likely to lose their baby at any gestation. They are also more likely to give birth normally with fewer interventions (Sandall et al 2015). If these results could be obtained by giving a drug I can't help but think it would have been given by now. The fact that virtually nothing has so far happened nationally to implement relationship based care is inexcusable.